Using the training template below, I was able to hit new PRs in almost every big lift, including making an unprecedented 100 pound jump in the deadlift that seemed to come out of nowhere. Also, without really focusing on body composition, I soon found myself at my biggest and leanest after adopting this template. It’s not about the exercises or even the sets and reps. I experienced all of these results by simply changing how my training was laid out over the week. In other words, programming. Let’s get one thing straight: The only thing that matters is getting results. Did the workout get you stronger, bigger, or leaner? If not, then you “lost” that workout. Think of every training session as a contest: your goal is to “win” the workout. That means you perform optimally, at the highest level, with the highest quality reps. To win the workout, you must finish the workout BETTER. And you must not do anything that wrecks the next workout. Sadly, many stimulus addicts seem to think they get bonus points if they train more often, do longer workouts than everybody else, or hit the gym when they’re feeling tired or fatigued from their previous workouts. They spend a lot of time in the gym with no real results to show for it. They don’t win many workouts – they lose them. The training template outlined here is your guide to winning every workout. And the more good workouts you accumulate, the faster you’ll progress. 1. Train four days a week. Four training sessions a week is the most common frequency among successful lifters, at least in those who lift heavy. Top strongman Bryan Shaw trains four days a week. Ed Coan, arguably the best powerlifter of all time, trained four days a week. Westside Barbell uses four workouts per week. Bill Kazmaeir, one of the strongest men to ever live, trained four days a week. The list goes on. Sure, Olympic lifters often train five or six days a week, but the Olympic lifts are more complex and require more skill. More frequent practice is important for efficiency in complex exercises. But the intensity is carefully regulated – most weightlifters don’t train anywhere close to a max effort most of the time. And there’s very little eccentric (negative) involved because the bar is dropped after every rep. The time under tension is also low. There’s less muscle damage to recover from. 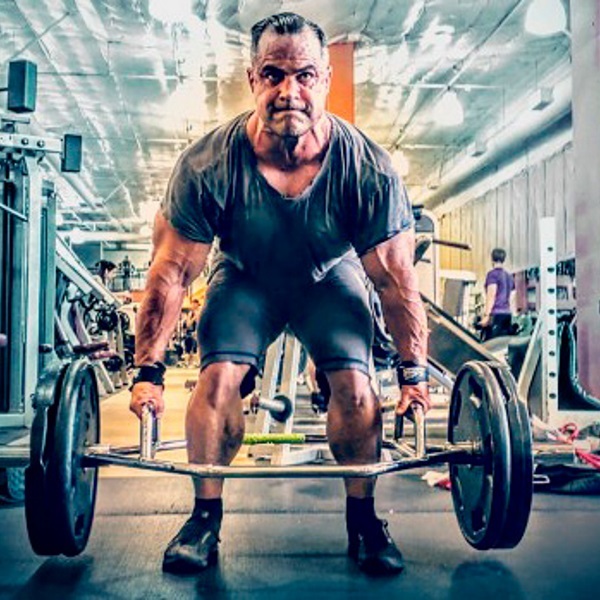 If you want to get bigger and stronger using strength lifts and bodybuilding work, look at what the most successful people do who use the same methods. In most cases, four workouts per week is ideal. An occasional bout of five or even six training days per week can be used as a shock week, but it shouldn’t be your normal approach. 2. Don’t train more than two days in a row. Even when the goal is to maximize muscle mass, the program should be based on getting stronger in the big basic lifts. To put your body in the best possible position to perform them at a high level every training session, it’s best not to train more than two days in a row. Yes, it’s possible to train more often, but your performance will suffer on that third workout. The only way that’ll work in the long run is if one or two of these workouts are fairly easy. If you plan to train hard at every session – doing big basic lifts plus assistance work – you should avoid doing more than two training days in a row. Don’t forget: It’s not about how much you can do and get away with; it’s about performing at the highest possible level every time you walk into the gym. If you have no shot of improving in some regard during a workout, you’re wasting your time. 3. Don’t rest two days in a row. After coaching high level athletes for years, I can say this with certainty: When athletes are given a Monday/Tuesday/Thursday/Friday workout schedule, the first workout of the week will always be their worst one. You’d think that after the weekend they’d be well rested and would perform better. Not so. Even though a person is physically rested, performance suffers because the nervous system is more sluggish after two days off, and it’s harder to get the nervous system excited/activated during the session. That’s why under normal circumstances (barring illness and injury) I highly recommend never taking two days off in a row. 4. Avoid negative carryover from one workout to the next. Plan the workouts in an order where your performance will not be hurt by muscle fatigue from the previous workout. Example: Don’t do a heavy shoulder or triceps session the day before doing a chest workout. But there are less obvious interactions that you need to consider. I used to plan my deadlift workout prior to my bench session and my bench press always suffered. The impact might not seem obvious, but the deadlift hits the lats and the rest of the upper back. So I did my bench workout with fatigued lats which made my bench press weaker. Why? Because lats play a big role in heavy bench pressing. Just by changing the order of these workouts, my bench press went up by 30 pounds in the next two sessions. That’s why it’s smart to divide the training weak into lifts, not muscles. Select one main lift for each training day and then train the key muscles involved in that lift. 5. Start with a basic strength move. Base each workout on one basic strength lift, not on a muscle group. And depending on how your performance is on that lift, use assistance work to correct your weaknesses. You don’t need to spend a lot of time working on your natural strengths because these will be hit sufficiently with the main movement. It’s the weak links that need extra work. If you have dominant quads and weak glutes and hams, you won’t need a lot (if any) extra work for the quads because they’ll receive plenty of stimulus from squatting. If they’re a personal strength, your body will tend to want to use them more when squatting. So your assistance exercises for a session should be selected to strengthen weak links for your main lift. The main lift then doubles as a diagnostic tool to tell you what needs fixing, and an evaluation tool to see if your assistance exercises are getting the job done. Start with the main lift, pick one strength movement emphasizing your weak link, then one to three smaller, more targeted exercises to strengthen individual muscles. Don’t waste volume on muscles that are already dominant. Your body has a limited capacity to adapt. That is the training split that’ll allow you to have the highest number of maximum quality sessions in your week. You avoid training more than two days in a row, preventing the accumulation of fatigue. You put the most demanding part of the plan early in the week (two workouts in a row) when you’re mentally and physically fresher. Most people working regular hours know that by Friday, fatigue is at its highest. So taking a day off on that day will save them from a “bad” workout. As you’ll see below, the toughest workout is on Saturday. On that day most people have a less demanding work schedule. When you train on a work day you either have to do it early in the morning (so the nervous system might not yet be in an optimal working state), during your lunch break (you may feel rushed), or after your work day (when already stressed and fatigued). On the weekend you can avoid these issues and train in a more optimal state. You don’t have to use these exact lifts, but a close variation of them should be the centerpiece of your workouts. Now ask yourself if the overhead press or bench press have the most negative effect on your squat. Honestly, it won’t be that different. So you could put either the overhead press or bench press session on Monday. But the absolute best option would be the overhead press. Why? First because of lat fatigue. The lats are important in bench press performance but less so in the overhead press. If you do a hard deadlift session and do some heavy back work in there, your lats might not be fully recovered come Monday so it could have a detrimental impact on a Monday bench session. Choose three primary exercises in a session: the main lift and two assistance movements to strengthen weak links. To that foundation you can add some isolation/bodybuilding work for muscles involved in the pattern or loaded carries such as farmers walk, overhead walk, etc. Train the main lift very heavy using sets containing 2 to 5 reps depending on the phase. Singles should only be done if you’re a competitive strength athlete and only for 2-3 weeks. Do the two assistance exercises fairly heavy as well: 4-6 reps if strength is your main goal and 6-8 reps if you’re more interested in size. You can also do one lift for 4-6 reps and the second for 6-8. If you decide to do bodybuilding work after these three main exercises, stick to isolation movements or machine work. Any bodybuilding intensity method can be used, but don’t abuse the volume. If you do loaded carries at the end of the workout, stick to 10-50 meters if you’re using them to get stronger and up to 80 meters if size and leanness is a greater concern. Exercise 1: Main lift (deadlift, squat, bench press or overhead press variation) in the 2-5 rep range zone. Exercise 2: First assistance lift to correct weakness in the main movement, trained in the 4-6 (strength) or 6-8 (size) rep range. Exercise 3: Second assistance lift to correct weakness in the main movement for sets of 4-6 or 6-8. Optional loaded carry here on deadlift or squat day since core strength is a common weak link. If you use loaded carries here, stick to 10-50 meters. When used here it would be to strengthen a weak point, not get leaner. Exercises 4-5 (optional): More isolated exercises to target the muscles involved in the main lift. Note: I’m not giving you a precise set/rep scheme or exact exercises. This article is about explaining how to build the template, not about giving you a rigid guide. If you need to know which muscles to train on which day, this is a good place to start. Remember, you don’t have to isolate every single muscle. In this case, the energy, resources, and recovery capacity would be better invested on a weak point or on doing nothing to maximize growth and recovery. When you follow this template, eat well, and get some good workout nutrition, it’s impossible not to progress. Every workout should be a good workout, which will lead to the fastest growth. The only possible ways to not get maximum results is by not selecting the best assistance exercises or doing too much junk volume. Remember, you should select your assistance work not based on personal preferences but on what will help strengthen your weaknesses. This is the true secret of long term progression!